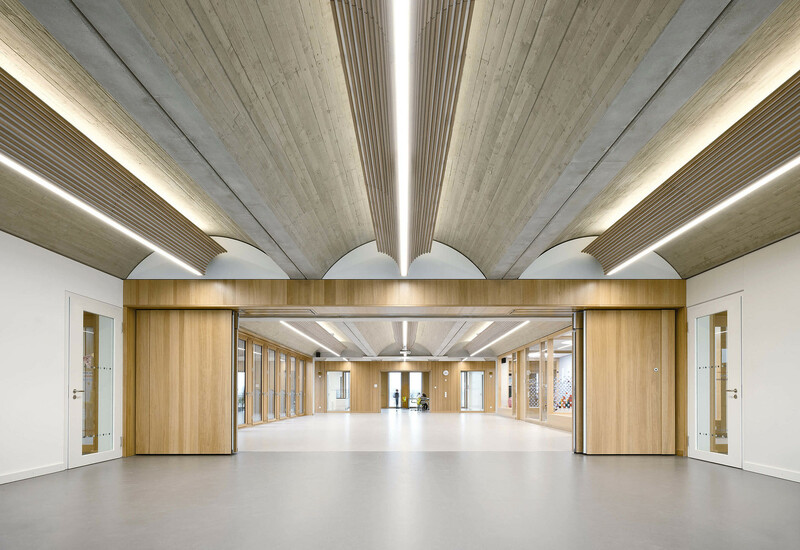 The barrel vaulting we selected for our design staves off the threat of monotony and anonymity by creating spaces with a distinctive character that not only conveys a sense of security but is also highly memorable. 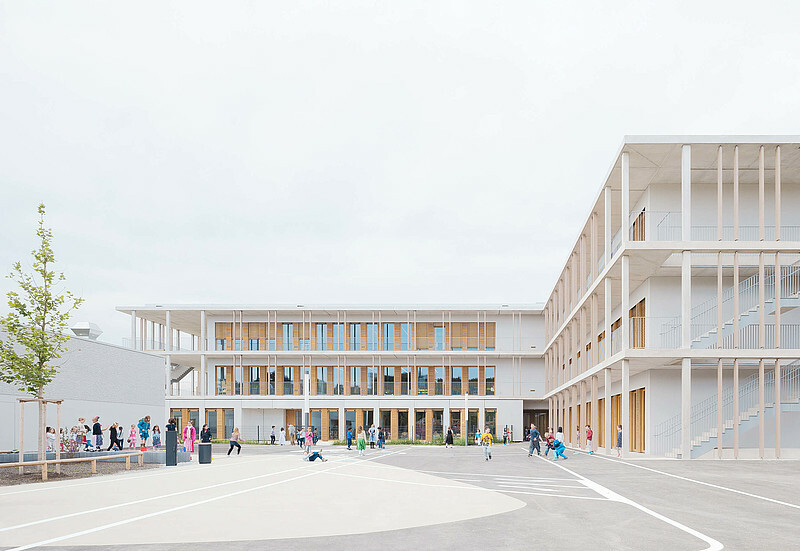 We view this special spatial quality, which the pupils and teachers can experience through the senses, as the antithesis of the stereotypical product of modular construction. 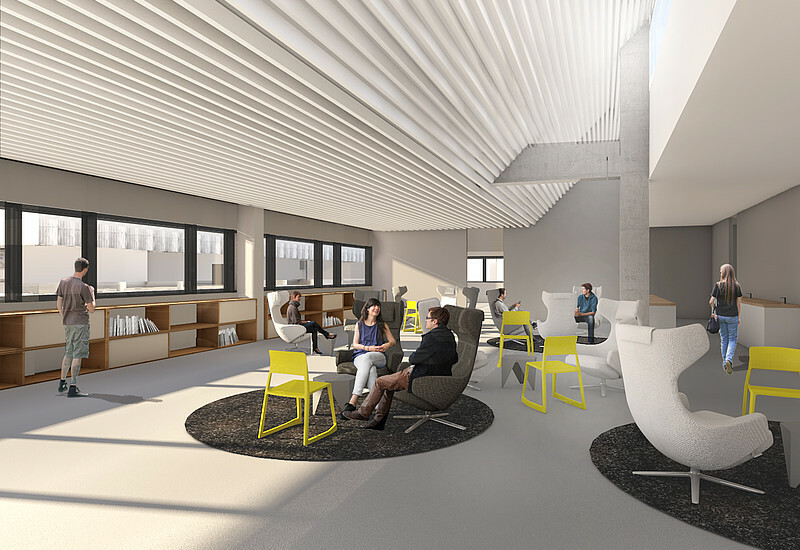 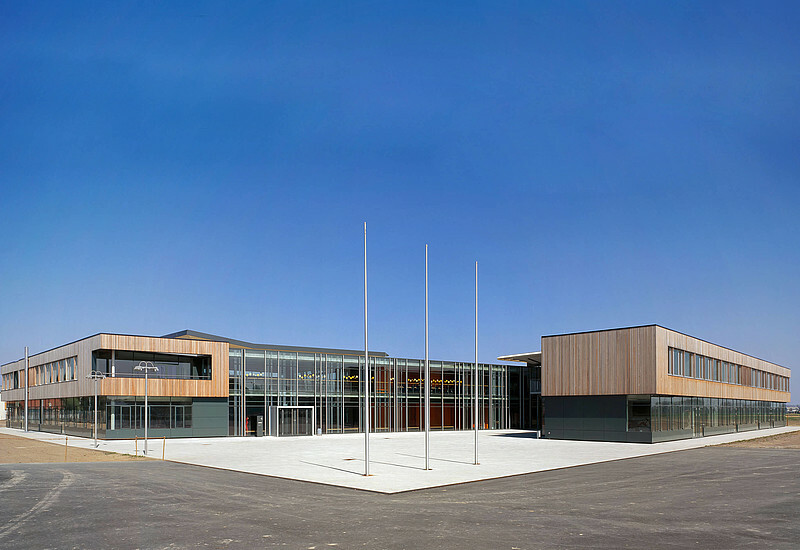 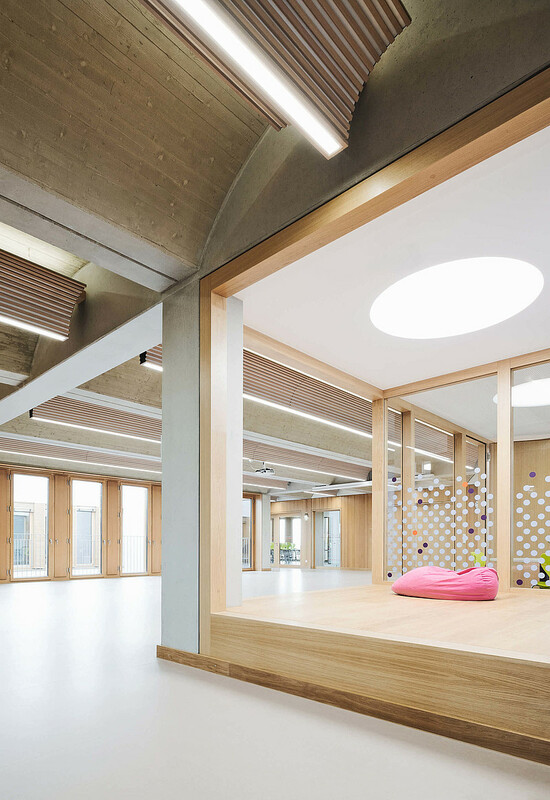 The educational concept of the learning house (“Munich Learning House”) is the starting point for developing an intelligent and constructively well-engineered learning house module that consists of four classrooms, two interconnected rooms for all-day care, and a workroom for teaching and childcare staff that are all grouped around a central communal space. 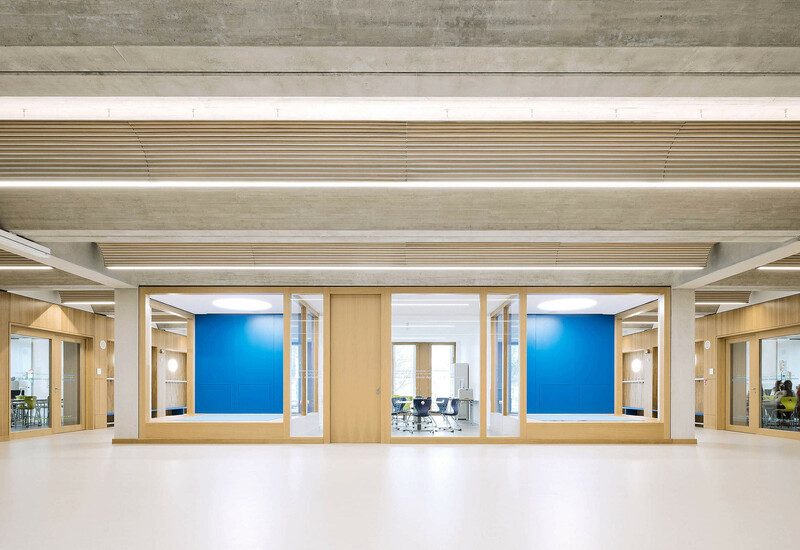 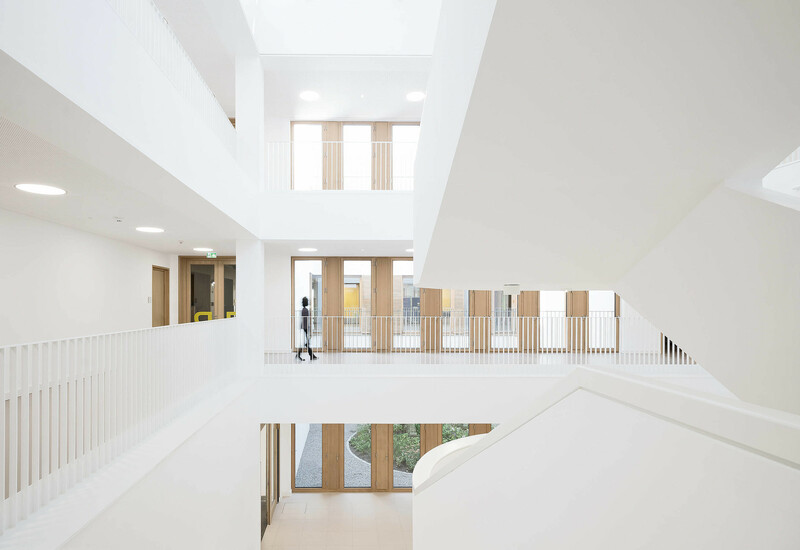 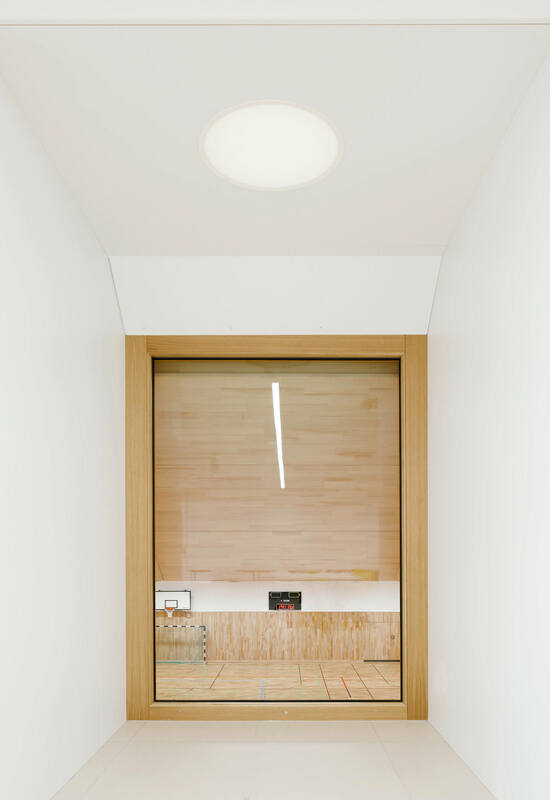 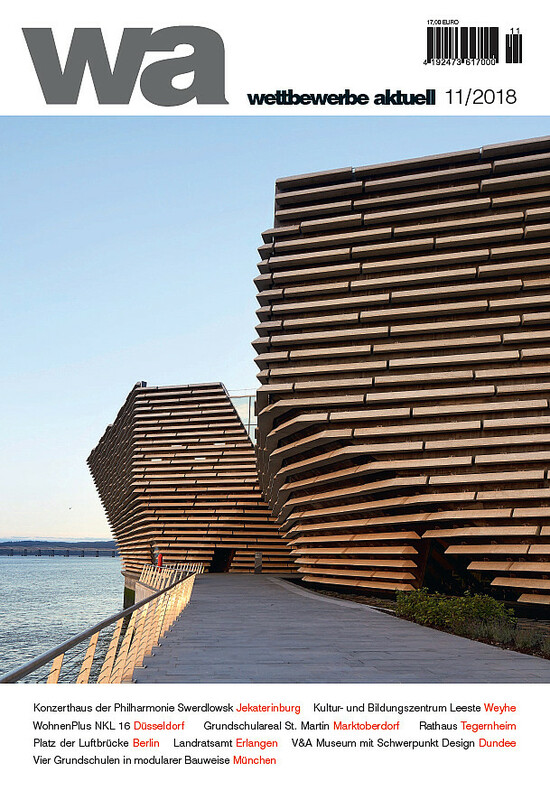 The peripheral access galleries give all the rooms a direct exit to the outside, which affords unrestricted use of the entire learning house in compliance with fire safety regulations. 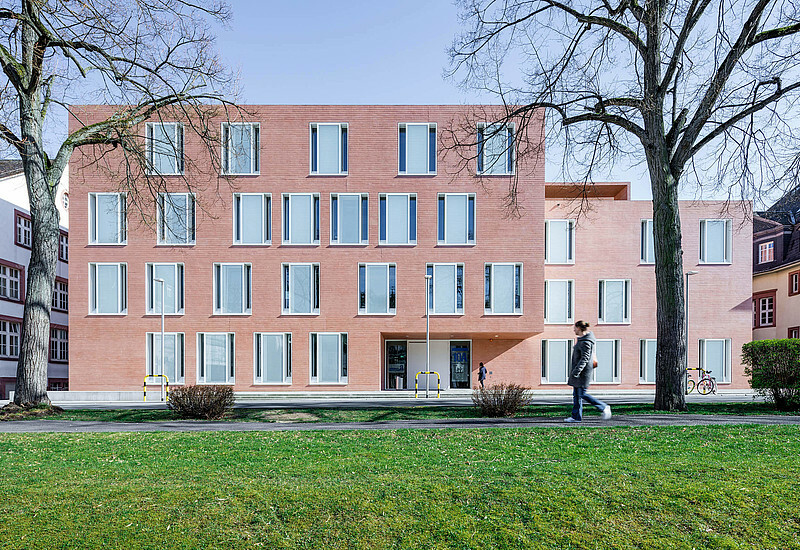 Two of the four primary schools with all-day care are located on former military sites on Ruth-Drexel-Straße in Oberföhring and Bauhausplatz in Schwabing, and the other two are in the Freiham development area: in Gustl-Bayrhammer-Straße and in Aubinger Allee. 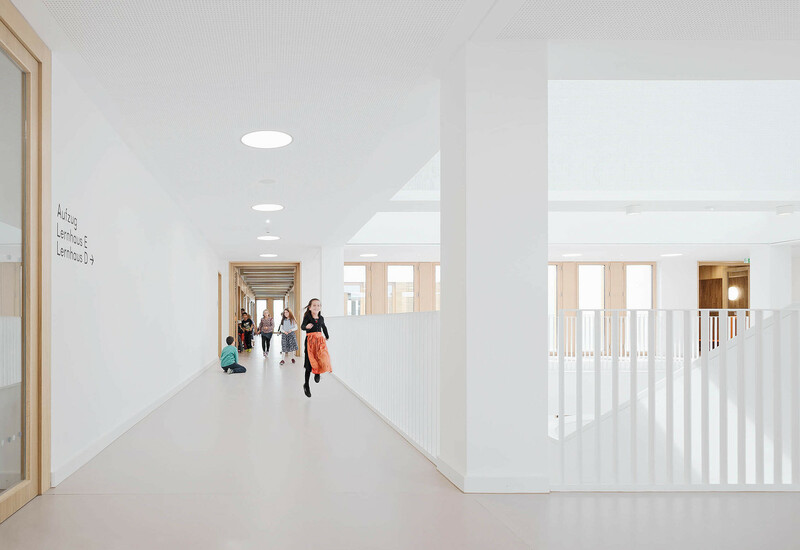 The journalist Franziska Horn has published an interview with Tobias Wulf titled »Put an end to soulless boxes« about our project »Four Primary Schools in Munich«. 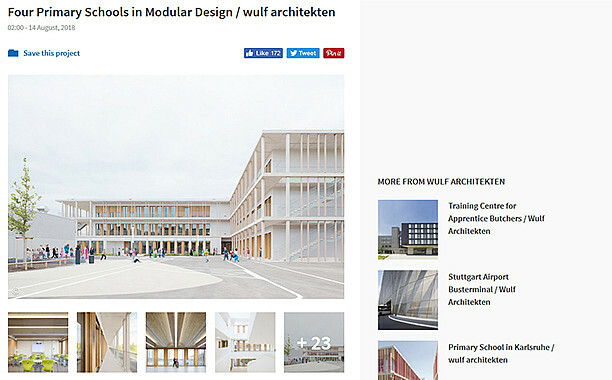 Our project »Four Primary Schools in modular design in Munich« has been published in the current issue (11 / 2018) of wettbewerbe aktuell. 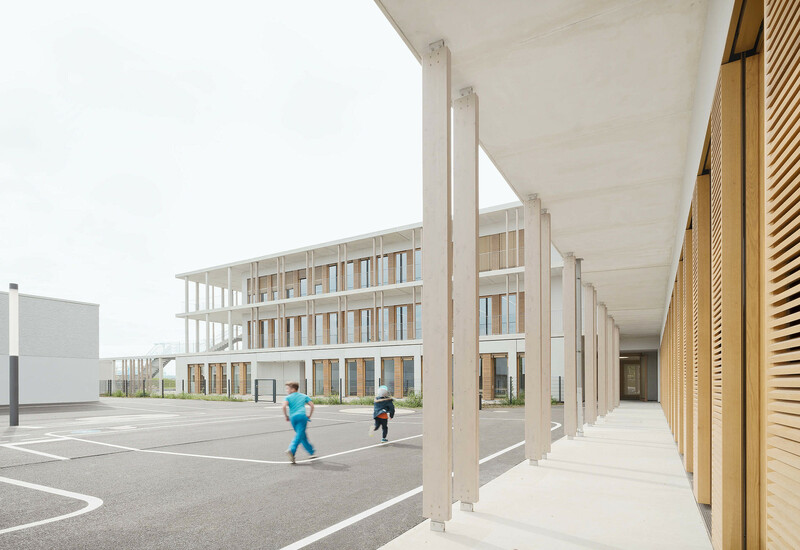 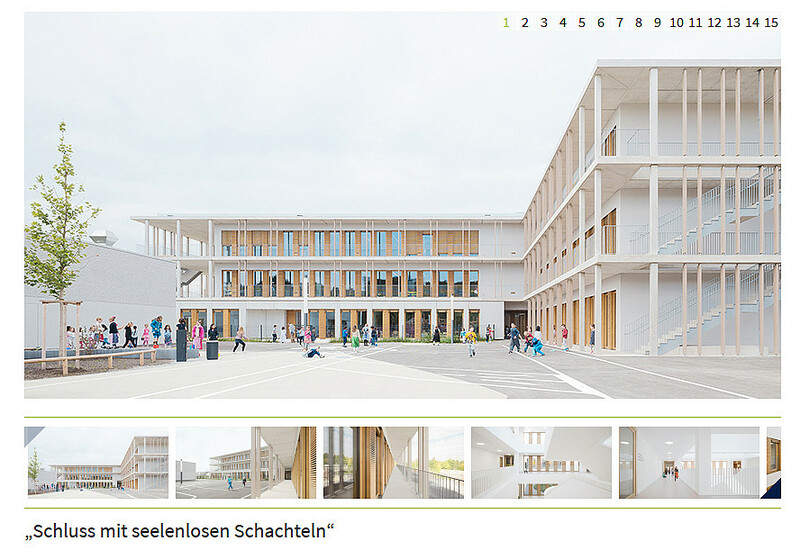 The Swiss journal »werk, bauen + wohnen« (11/2018) published our project »Four Primary Schools in Munich« in its recent edition. 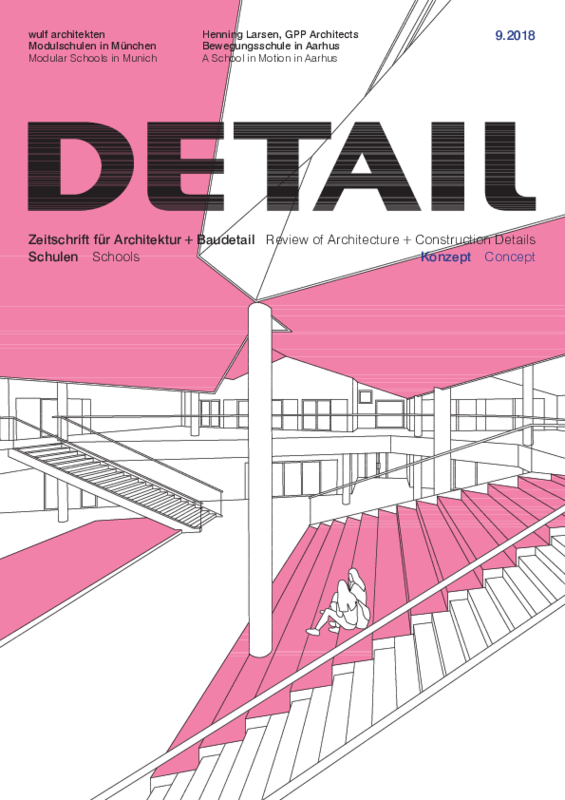 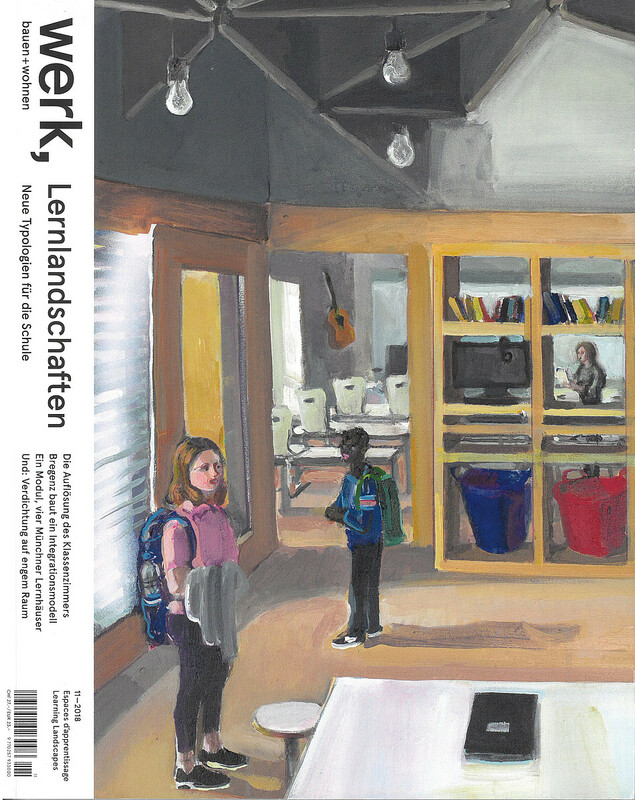 In the current edition of the magazine DETAIL, which is dedicated to the issue »Schools«, our project Four Primary Schools following the »Lernhausprinzip« has been published. 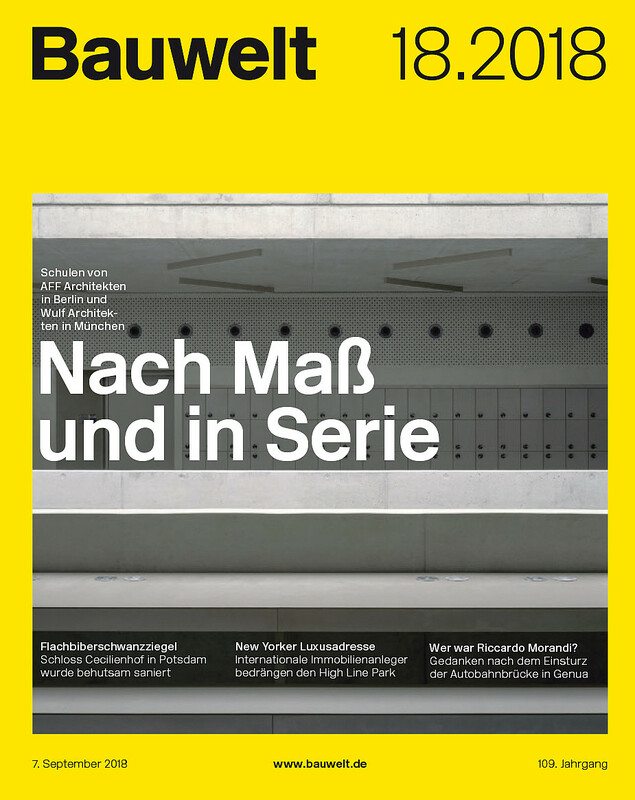 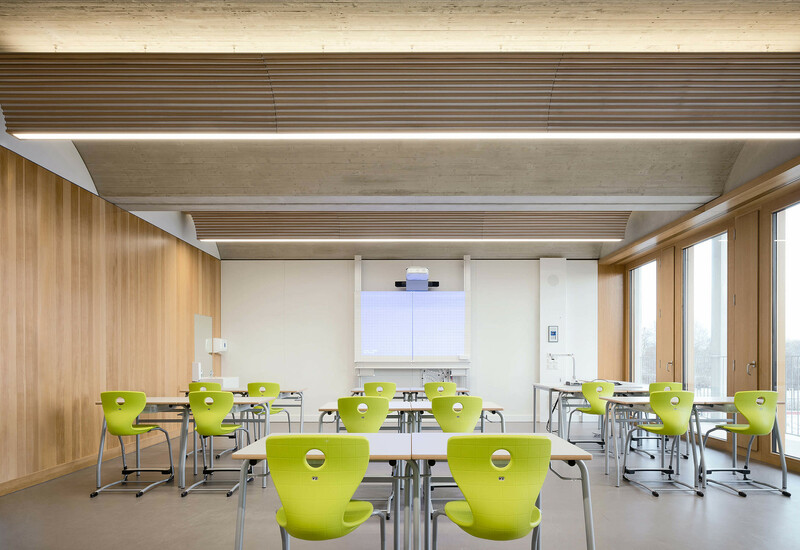 In the current issue of the magazine Bauwelt 18.2018, Jochen Paul described in his article »Serienreif« the modular design using the example of our project »Primary school in Aubinger Allee« in Munich. 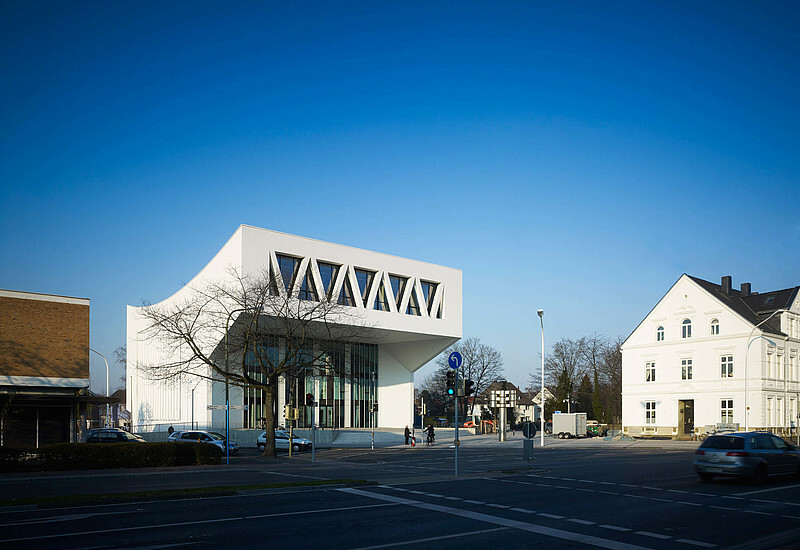 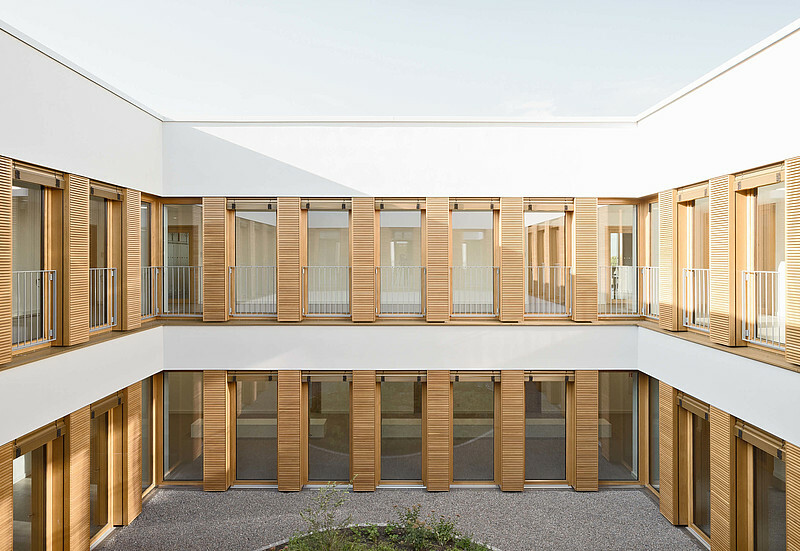 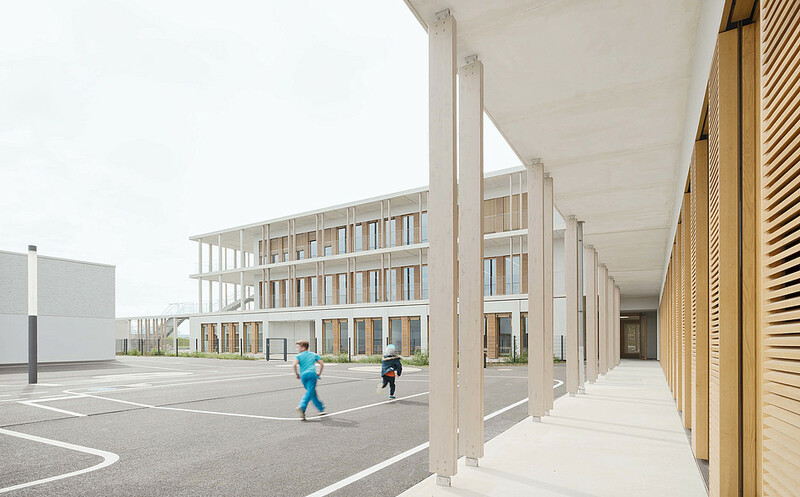 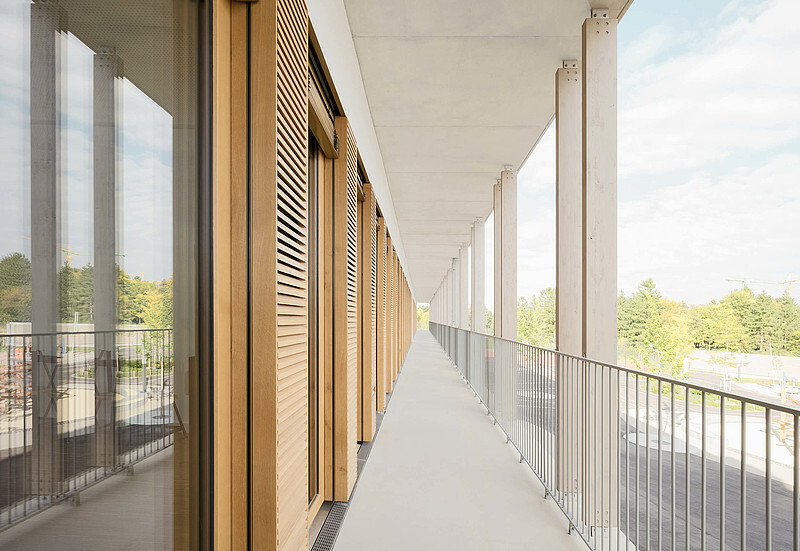 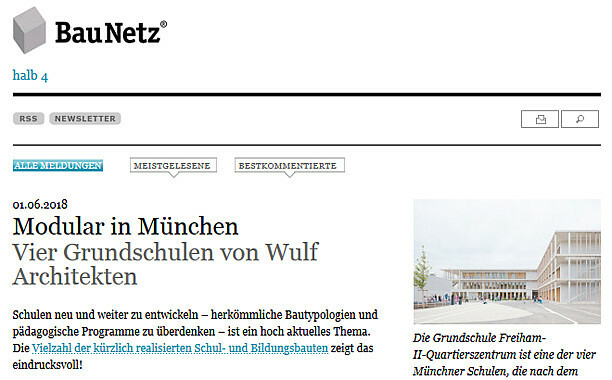 Our project »Four Primary Schools in modular design in Munich« has been published on archdaily.com. 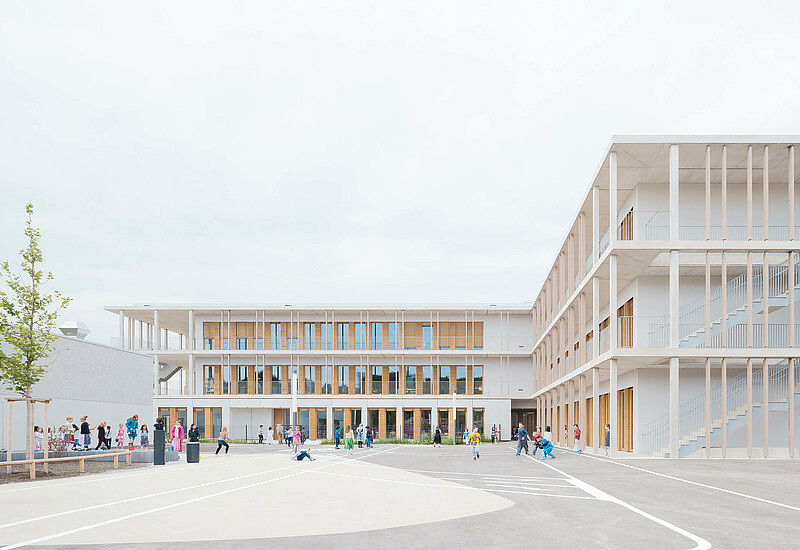 primary schools according the »Lernhausprinzip« developed, are now to find at the international platform for architecture. 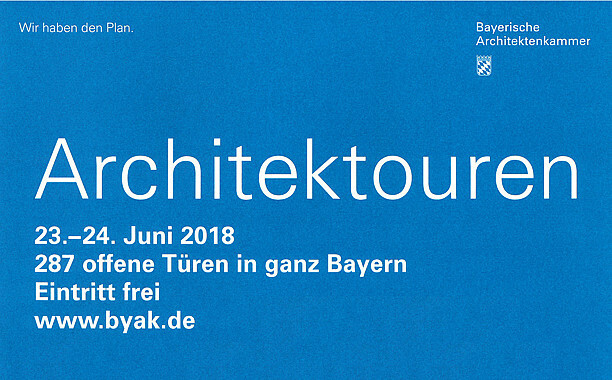 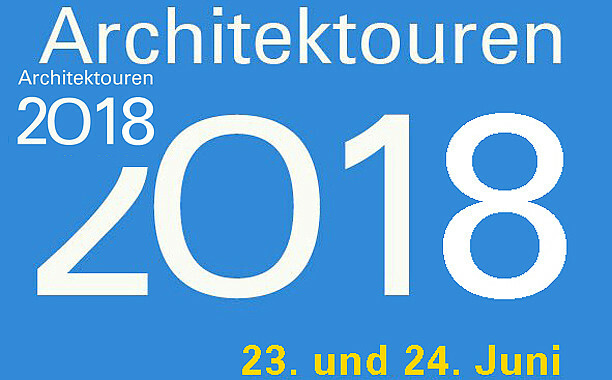 In the context of the so-called »Architektouren 2018« (Day of Architecture), organized by the Bavarian Chamber of Architects, the Four Primary Schools in Munich will be presented. 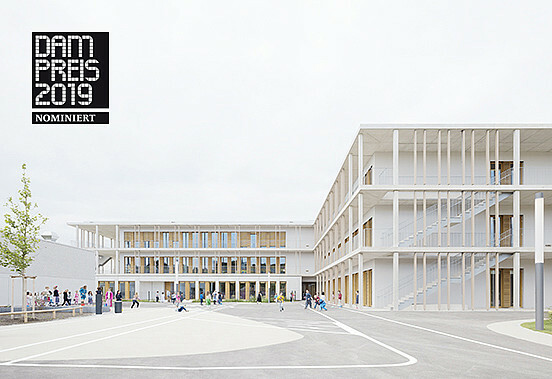 Using the example of the Primary School »Quartierszentrum«, Tobias Wulf will explain the characteristics of this project. 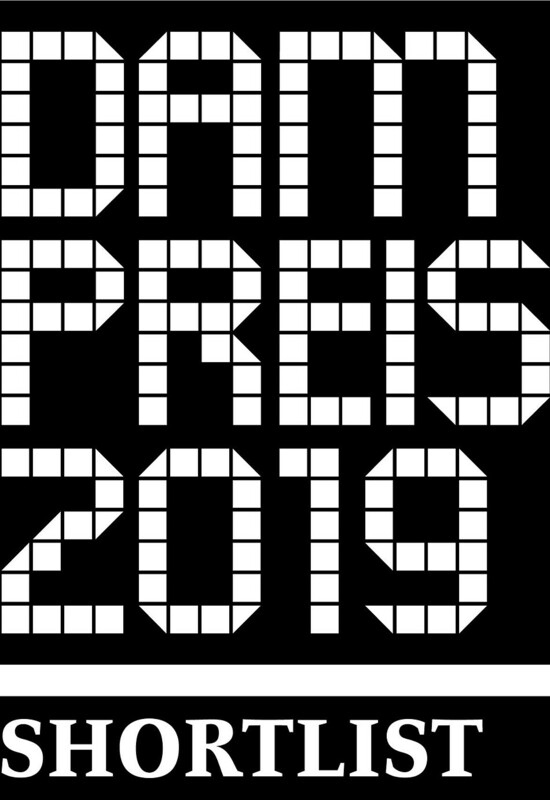 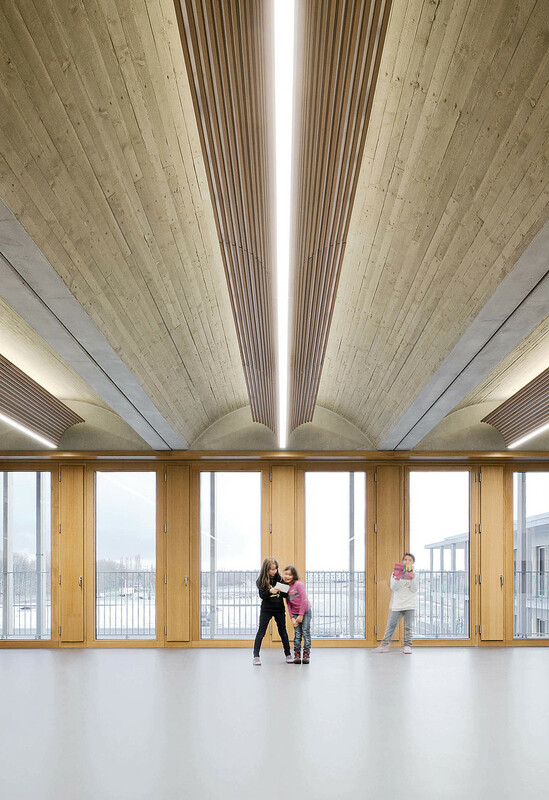 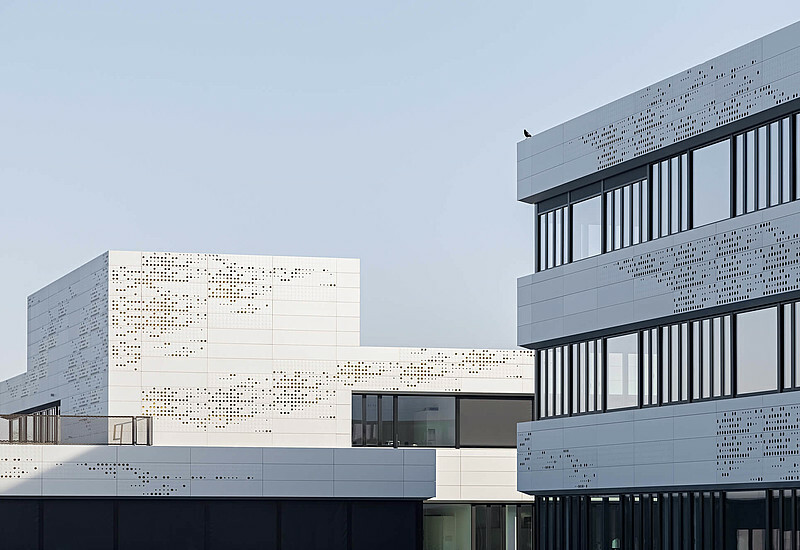 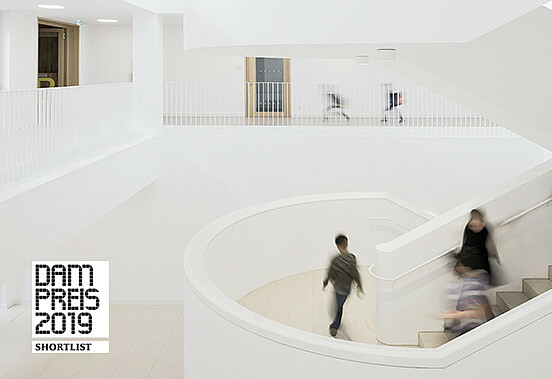 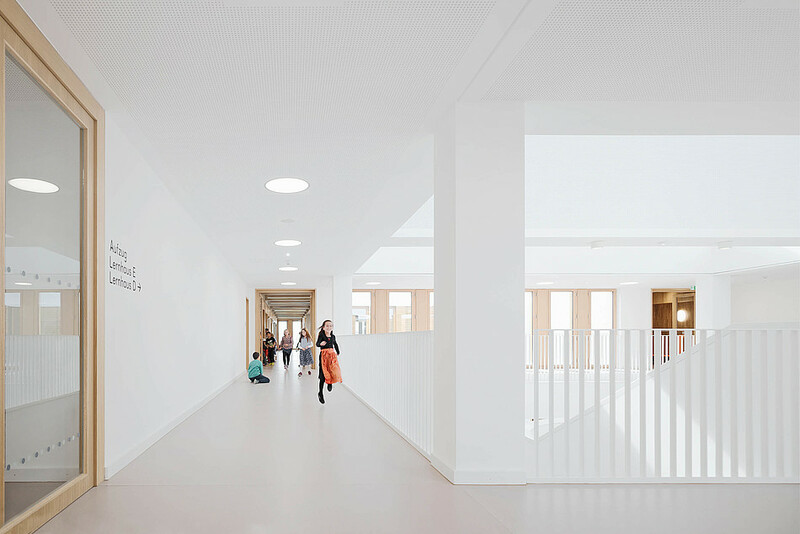 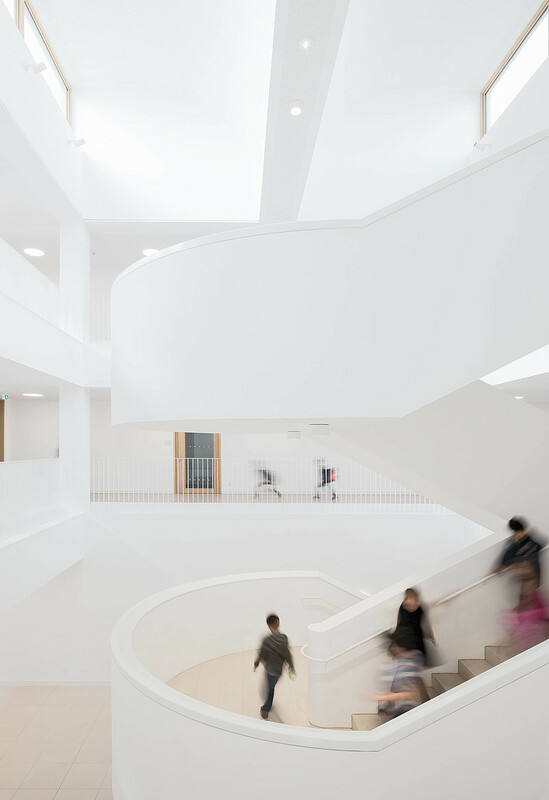 We are glad that our project »Four primary schools in Munich« has been selected for the Shortlist of the DAM Prize for Architecture 2019.